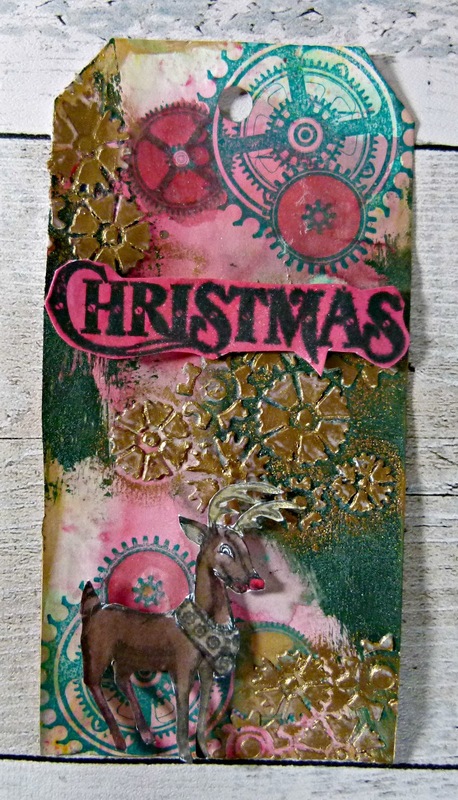 I have a Christmas tag to share today. Take a blank tag and spray with red and green spritzing ink. Use a palette knife to apply green texture paste to edge of tag. 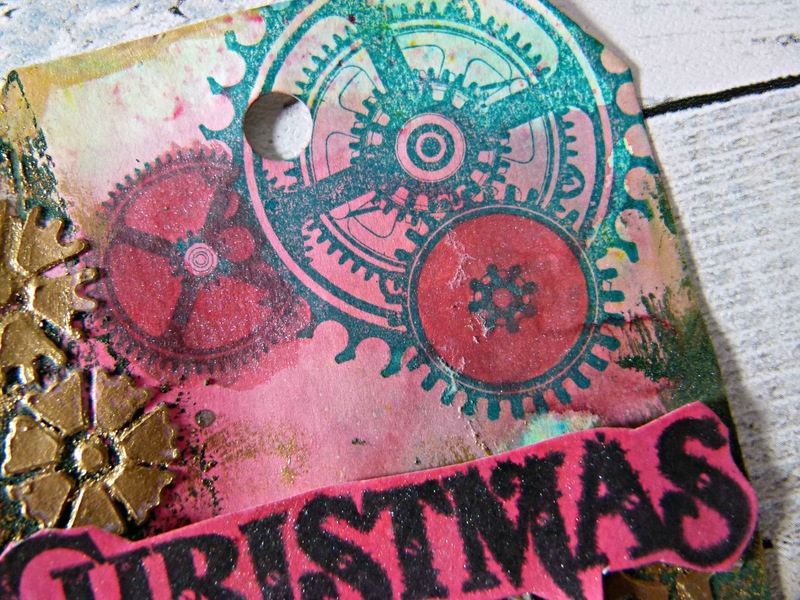 Stamp the large cogs on to the top and bottom corners of the tag. 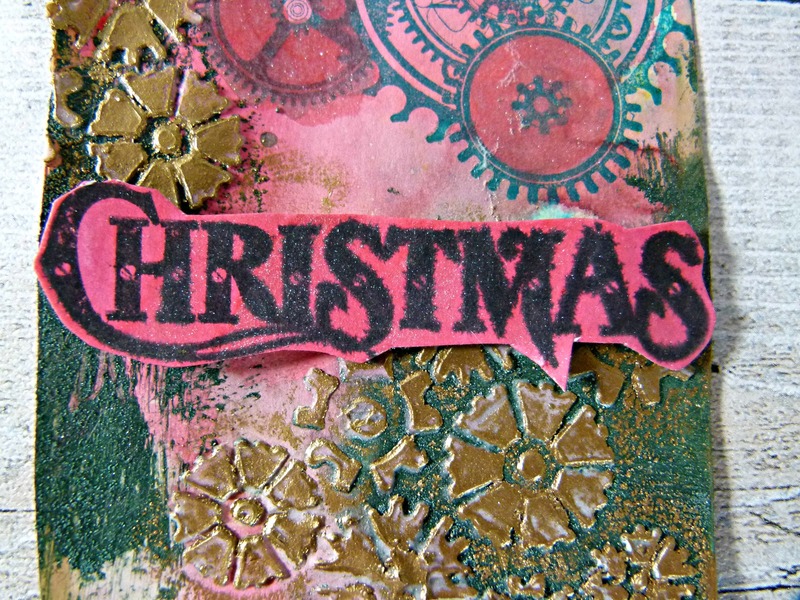 Apply a stencil and paint over with gold paint. 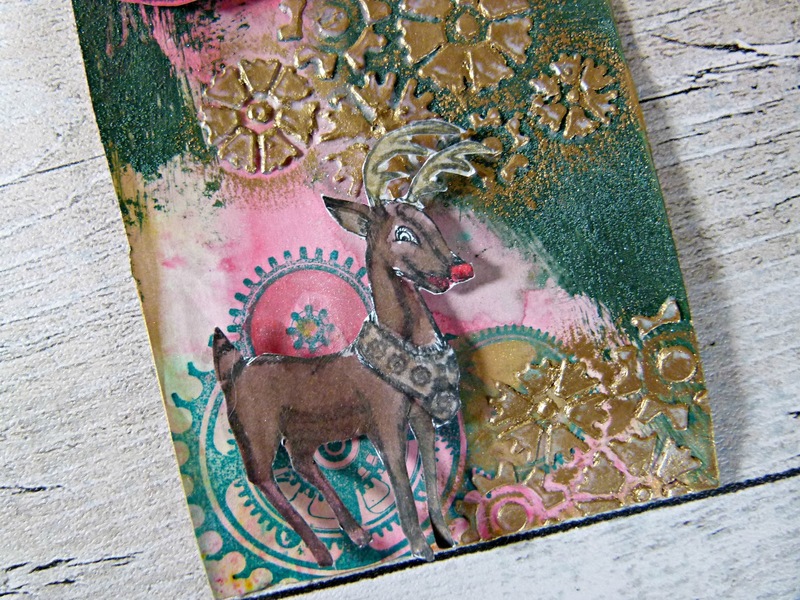 Stamp out the reindeer and sentiment onto card. Color them in and cut them out. 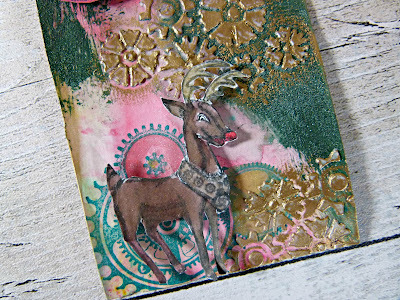 Add the reindeer to the corner and sentiment to the center.